Debuting on April 4th will be the entirely new Star Wars stage show "Star Wars: A Galaxy Far, Far Away." This show will act out iconic moment and scenes from the Star Wars films on center Stage in front of the Chines Theater in the heart of the theme park. It includes performances from favorite characters representing both the good side of the Force, as well as, the dark side: Kylo Ren, Chewbacca, Darth Vader, and Darth Maul. Also appearing for the first time on April 4th will be Captain Phasma leading her platoon of First Order Stormtroopers from the Star Wars Launch Bay to Center Stage several times each day. 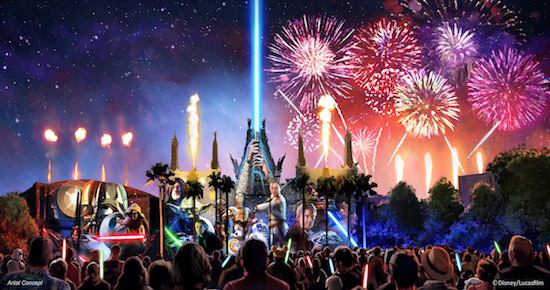 And starting this summer, fans won’t want to miss the grand debut of a new Star Wars fireworks show, “Star Wars: A Galactic Spectacular.” This new nightly show is the next generation of the current Star Wars-inspired fireworks show. The show will combine fireworks, pyrotechnics, special effects and video projections that will turn the nearby Chinese Theater and other buildings into the twin suns of Tatooine, a field of battle droids, the trench of the Death Star, Starkiller Base and other Star Wars destinations. The show will be punctuated with a tower of fire and spotlight beams, creating massive lightsabers in the sky. This new show will be the most elaborate fireworks display to take place in the history of Disney’s Hollywood Studios. And don’t forget about the other recent Star Wars additions that have debuted at the park. The Star Tours – The Adventures Continue attraction now features new characters and planets from the new Star Wars: The Force Awakens film. 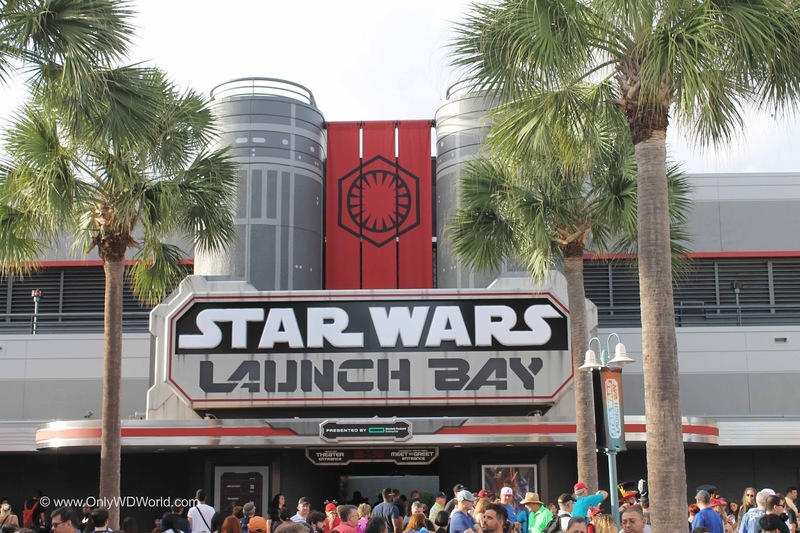 Star Wars Launch Bay offers families an up-close look at replica props, models, costumes and more from the films, plus the chance to encounter with someone from Rebel Alliance or the Dark Side. And young Padawans can put their bravery to the test at Jedi Training: Trials of the Temple, which now features the character of the Seventh Sister from the Disney XD series Star Wars Rebels. 0 comments to "Star Wars Debut Of 'Star Wars: A Galaxy Far, Far Away' on April 4th"